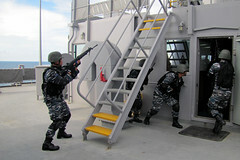 The 15th annual Southeast Asia Cooperation and Training (SEACAT) exercise got underway in Singapore, Aug 22. 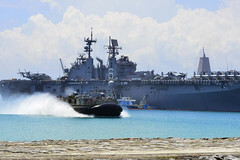 Ships of the Bonhomme Richard Expeditionary Strike Group (ESG) departed Okinawa, Japan, Aug. 21, beginning their fall 2016 patrol. 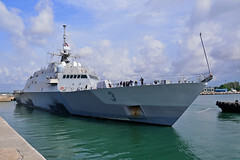 The littoral combat ship departed Changi Naval Base in Singapore Aug. 22, beginning a transit across the Pacific Ocean to her homeport in San Diego. 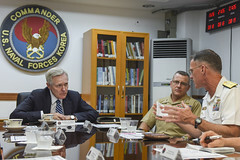 Secretary of the Navy Ray Mabus visited the Republic of Korea Aug. 18-20 to support and highlight the longstanding partnership between both navies and Marine Corps. 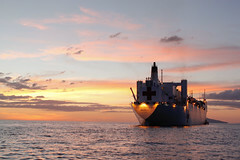 USNS Mercy (T-AH 19) and the multinational Pacific Partnership team arrived in Padang, Indonesia, Aug. 19 for the fifth and final mission stop of 2016. 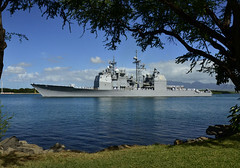 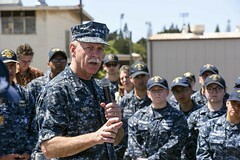 Adm. Scott H. Swift, recently issued updated guidance to the fleet that all Pacific Fleet Sailors, uniformed and civilian, should read and understand. 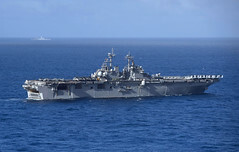 The SAREX, part of Pacific Partnership 2016, ended with a casualty response drill aboard USNS Mercy (T-AH 19), Aug. 14.